Seamless Piecing: Welcome to Seamless Piecing! There's a Free Quilt Pattern! Just like I promised. The Sassy Sudoku Quilt will follow as it as it's own post so it will be easy for you to find later. My name is RaeLyn Boothe. I go by RB online whenever possible because, frankly, "RaeLyn Boothe" is just too hard to spell. I'm a quilter, raised by a quilter who was raised by a quilter. You get the picture. But my stubborn heart couldn't admit I was a quilter for a long time. Oh, I made a few quilts here and there, but I just didn't embrace it... until I found out I was going to be a grandma for the first time. In 2014 I found myself standing in Joann fabric store ... without my mother. No one was more surprised than I was! Soon after, I purchased a beautiful sewing machine and not long after that came Quilting Frames, with another machine on board. We've just welcomed grandbaby #5, and #6 will arrive in just a few weeks so the machines have been humming. Enough history. Let's talk piecing. 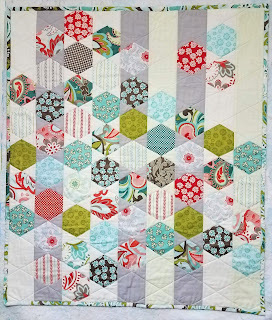 Earlier this year when we learned we were getting our 1st grandbaby girl, I knew I wanted to make her a hexagon quilt. I'd been hoarding a beautiful Riley Blake bundle, just waiting for the right little girl. I've found that I'm not a fan of cutting piles of little bits of fabric only to have to square up blocks after they are sewn because I didn't get the angle just right. That about summed up my feelings about hexagons. 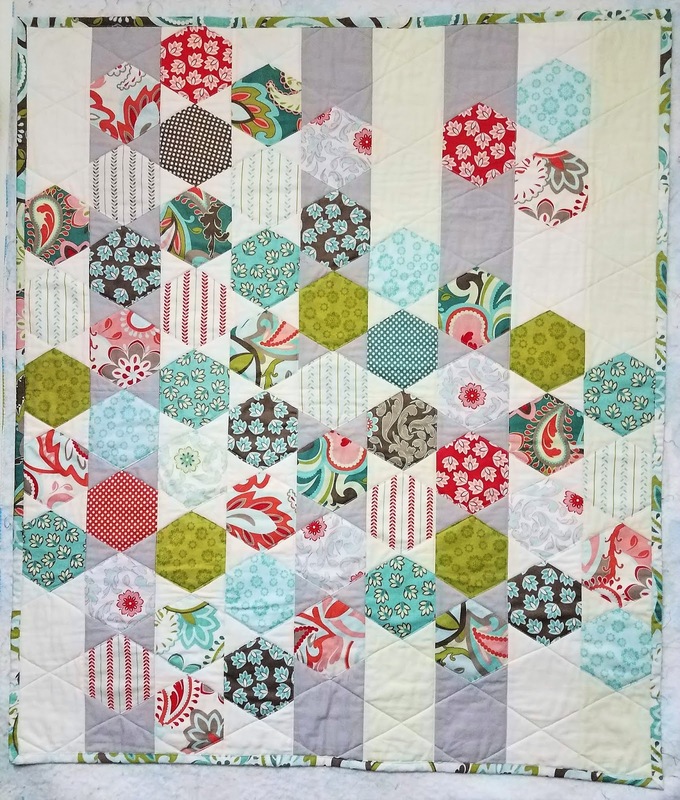 After mulling the problem for days, I woke up one morning having dreamed about a technique that would eliminate all the nonsense and produce the quilt I was hoping for. I wasn't sure the technique would work, it came from a dream after all! But after a day of testing and tinkering, I knew I'd found something that would rock my quilting world! Since that time, I've had idea after idea of quilts to make using this simple technique. I would not have considered making these quilts before. I'm happy to share this technique with you. You don't have to love it like I do, I'm ok with that. I just hope it can be a light bulb moment for someone else and open up a whole new world of angles. I'm not affiliated with any third party, so if I recommend a product it's because I use it and love it. (Even if I become an affiliate sometime down the road, I'll only recommend products that I believe will add value to your life.) Seamless Piecing blog will be a work in progress while I figure out what works and what I need to learn. I plan to post on Wednesdays but there may be times when I post more often, or less often. Please follow by email so you don't miss anything. I promise to try to add value to your life in everything I present here. Leave a comment if you like. I'd love to hear about how you came to quilting. I too became a quilter when my sister was pregnant. I had fought this desire for awhile thinking quilters are for old ladies. At the time I started I was young, now I may be consider an old lady at the ripe old age of 52 years. I remember approaching a "friend" and asking if she would help me learn to quilt and hand applique'. 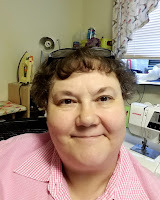 At that time she declined me, but now we are quilting buddies when I am able to find ans make the time. I love the art of quilting being able to imagine and create something useful and sometimes beautiful. Thanks for starting this Blog and offering your knowledge and sharing your ideas.